Mumbai will be partly cloudy this weekend. Days will be around 34c and night 23/24c. Pune also will be partly cloudy with days rising to 38c and nights around 20/21c. Rajesh Sir, But what about Interior Konkan heat ? 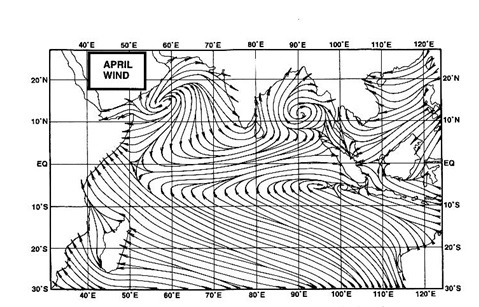 I m seeing one of hottest March-April since 2012( from personal observation) .And this year Mahavedh AWS also reflecting same over all Interior konkan ! 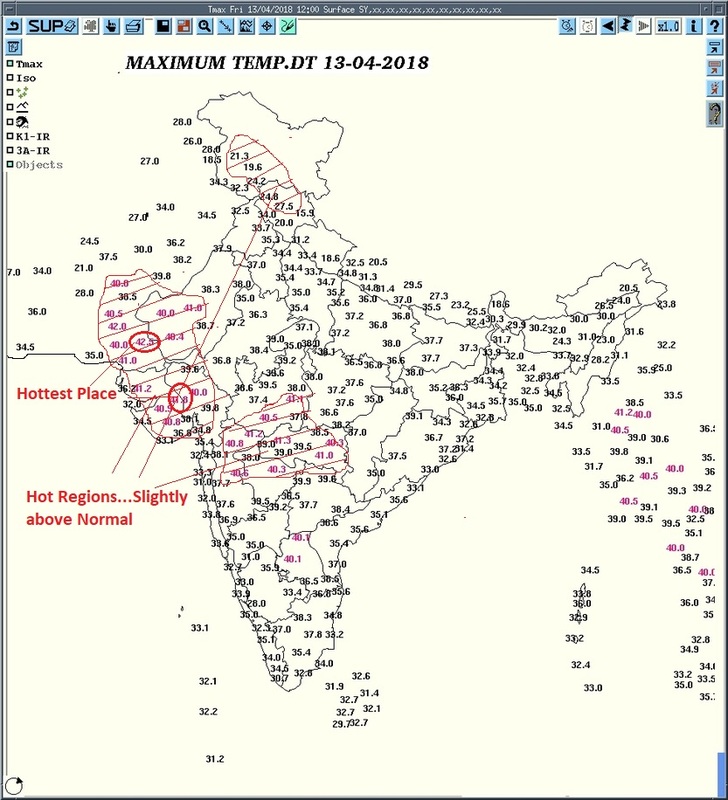 Just all IMD manual station observatories near coastal as per above maps means entire Konkan is not same i.e near normal temps.. Badlapur has not seen below 100F temp that is below 37.8c since 24 March 2018 !! which is something unusual I feel.. As heat comes in wave like with some days heat wave like some days near normal or some days even below normal ! But this year witnessing persistent heat like temp remaining 38+ from last 22 days !! Also April avg for last 14 days is on 39.4c !! which is almost 2.4c above normal like as per mine last 6yrs avg pattern ! And Mahavedh AWS giving view that it gets hot just from 10km from coastline.. Means IMD station shows max as 33-34c or 35 sometimes at Dahanu, Mumbai, Alibaug,Harnai, Ratnagiri, Vengurla & Panaji . But after 10km stretch same temp rises to 37-38c and further on 20-40km it remains as 39-40c & further at base ghat at Shahapur, Murbad, Karjat, Bhira,Mahad, Khed, Chiplun it stays around 41-42c almost daily. Mostly whole Interior Konkan is having 3-4c above normal temp consistently from past one month with no let down !! And if we go with models forecast no respite for Interior Konkan for next whole week at least as consistently showing 41-42c for whole week !! Bhira manual was only official source to know about interior Konkan temp behavior but due to IMD not eagar to operate properly just closed down readings for next one year as per media reports.. So instead of increasing manual stations they choosing to close down as reason is reporting high temps for Konkan coastal standards !! But there is lot of variation in temps and rainfall pattern between coastal and interior plains to base of western ghats over all west coast trip which includes Konkan & Goa, Coastal Karnataka & Kerala but sadly for temp hardly any observatory in interior parts of west coast in Konkan or Karnataka or Kerala coast !! My suggestion for IMD officials would be increase more manual station in interiorr Konkan ! Alibaug parellel like Bhira(but currently suspended observation). Harnai parellel Khed or Chiplun . This is only way to know interior Konkan heat wave pattern so setup more manual observatories ! Currently only coastal IMD stations portray wrong picture for interior Konkan temps. Yup.Totally agreed with Abhijit.This time heat is very unusual.Never seen such heat .. continues trend of 38+ above temperature daily here in Interiors.The only respite is having breeze on time..but this time breeze too setting late and here we can notice drastic rise in temperature after 12:30pm.As Abhijit said, Interiors too should have a Manual station setup from IMD.Thus,this is the only way that the Heat wave in Interior Konkan can be noticed.And by that we can get the different temperature analysis as compared to Mumbai which usually shows 33-35c range. With all indications suggesting India heading for another year of normal rainfall, the Met department evinces its readiness to make its first forecast for this season’s monsoon rainfall, to be expected on Monday. According to the weather scientists, prevailing conditions are favourable for a good rainfall in the June-September monsoon season. In the opinion of scientists, India receives 89 cm of rainfall during the four-month monsoon season, which is almost 75 percent of its annual rainfall. Last year, the country received rainfall that was 95 percent of its long-period average. The most agreeable condition right now appears to be the “near-neutral” to “neutral” ENSO (El Nino Southern Oscillation) in the equatorial Pacific Ocean, off the coast of South America. Neutral is said to be neither El Nino nor La Nina. ENSO refers to anomalies (deviations from usual sea-surface temperatures in the Pacific Ocean) in the sea-surface temperatures in the Pacific Ocean which have sometimes been observed to have a near-decisive impact on the monsoon rainfall. A warmer than usual sea-surface temperature, referred to as El Nino condition is associated with a suppressed monsoon rainfall in India, while the opposite, called La Nina, is known to help the rainfall. Global climate models are exhibiting near-neutral conditions prevailing in the Pacific Ocean right now and are predicting that it will remain this way through most of the year. “La Nina conditions are present. Equatorial sea surface temperatures (SSTs) are below average across the central and eastern Pacific Ocean. A transition from La Nina to ENSO-neutral is most likely (~55% chance) during the March-May season, with neutral conditions likely to continue into the second half of the year”, says the latest bulletin from the Climate Prediction Centre of the National Oceanic and Atmospheric Administration (NOAA) of the United States. Australia’s Bureau of Meteorology has been reporting for at least two weeks now that the ENSO had already turned neutral. “The El Niño-Southern Oscillation (ENSO) remains neutral. Most models predict a neutral ENSO pattern will persist through the southern autumn and winter”, it said in its latest report. “Most atmospheric and oceanic indicators of ENSO are at neutral levels. Sea surface temperatures in the central Pacific are close to average for this time of year. Beneath the surface, the tropical Pacific Ocean is slightly warmer than average, but well within the neutral range,” it also said. While a La Nina condition would have been more suitable for the monsoon, scientists say normal rainfall can be expected even in neutral ENSO condition. “When the anomalies are too small or absent, the monsoon rainfall over India is normal. The forecast now is that the SST anomalies in the eastern tropical Pacific are ENSO-neutral during the coming summer and hence we can expect a normal monsoon this year,” said Bala Govindasamy of the Centre for Atmospheric and Oceanic Sciences at the Indian Institute of Science. As per latest reports Mumbai has 1 million huge full grown trees! Thanks to sustained efforts by forest departments. Aarey milk colony has highest density. Apart from huge trees of navi mumbai, thane, mangrove forests are yet to be considered. Maharashtra today ranks in top 5 states with dense forest cover....another initiative by forest department to plant 50 crores native trees by next few years. Yes Abhijit sir you are right. MY Prediction this year India will get normal rains but konkan will get excess rains. I appreciate your re-seach of interior Konkan temperatures. But what you report and mention is only from AWS or private reding stations. Over the last 11 years, Vagaries maintains records and reports from IMD and WMO stations only. So we can compare only with what IMD shows. AWS are not stationed or placed in proper WMO conditions and exposure. So even IMD does not officiate these readings. Yes, I agree with you that IMD needs to increase more inland stations, but till then...we go by the official reports. Yes, agreed. Rajesh Sir . But AWS gives overall patterns of temp behaviour over the region. So already considered 1-2c error while mentioning. As aws in inland base of ghat goes till 43-44c. But I mentioned as 41-42 with applying error correction as if manual observatory were placed then what they have given readings like ! And so in final para given suggestions to IMD where manual stations should be placed in interiors with respect to current coastal parallel stations like so that overall temp pattern can be clearly understood. Hope IMD official reads this and sanctions some interior station as per above.